Anaphylaxis is a severe allergic reaction. A person having an anaphylactic reaction requires urgent medical attention. Different people have different triggers. For some, it’s specific food. For others, it’s something in the environment. 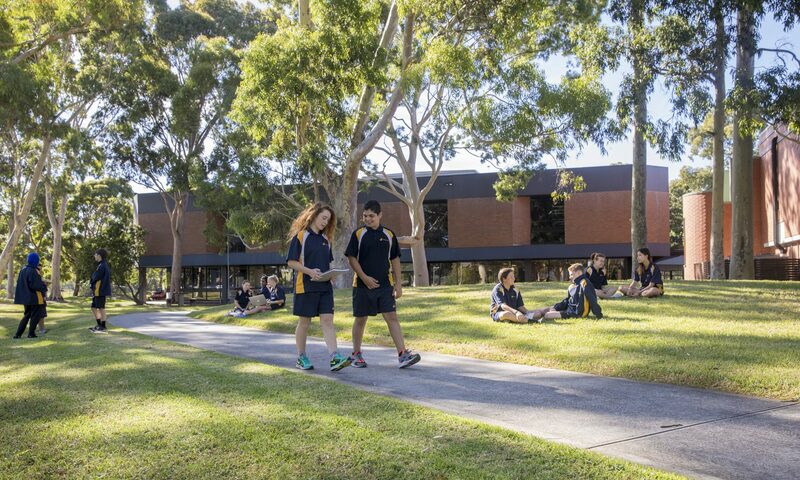 We have students at Coburg High School who are anaphylactic and staff are trained in anaphylactic practices, as well as Level 2 First Aid. If you suspect someone is having an anaphylactic reaction, seek help IMMEDIATELY. Parents/guardians of children who are anaphylactic must provide the school with the relevant plan, and if appropriate, an up to date and labeled epipen. If students don’t bring food from home, the Cafe provides healthy, nutritious options. Students are not permitted to eat on carpeted spaces. Litter is not acceptable. Rubbish and recycling bins are provided for students. We encourage students to consider sustainability when it comes to food packaging. Data, both in Australia and overseas, suggests that healthy eating positively impacts a person’s ability to learn. If you are feeling ill while at school, you can go to Sick Bay in Reception. Staff there are First Aid trained. If you are too ill to attend school, your parent/carer needs to record this on Com- pass. Medical certificates should be sought from doctors and brought to the Front Office upon your return to school. All medications, including prescription as well as non-prescription medication, are to be administered by school personnel following the processes and protocols set out in the Medication Management Procedures of the school. Medication will only be administered with explicit written permission from parent/guardian/approved person, or in the case of an emergency, with permission of a medical practitioner. When administering prescription medication on behalf of parent/carers, the written advice received must be supported by specific written instructions on the original medication bottle or container, such as that on the pharmacists label noting the name of the student, dosage and time to be administered. Students are encouraged to wear hats outside and seek shelter in the shade. Students are permitted water bottles in class.